Electrolysis, a process by which electricity is used to split the water molecule, is the cleanest way to get hydrogen, a clean and renewable fuel. Currently, researchers at ICIQ and URV, headed by Prof. José Ramón Galán-Mascarós, designed a new catalyst that lowers the cost of electrolytic hydrogen production. Until now, the finest catalysts are based in iridium oxides, but iridium is a scarce precious metal and very expensive. 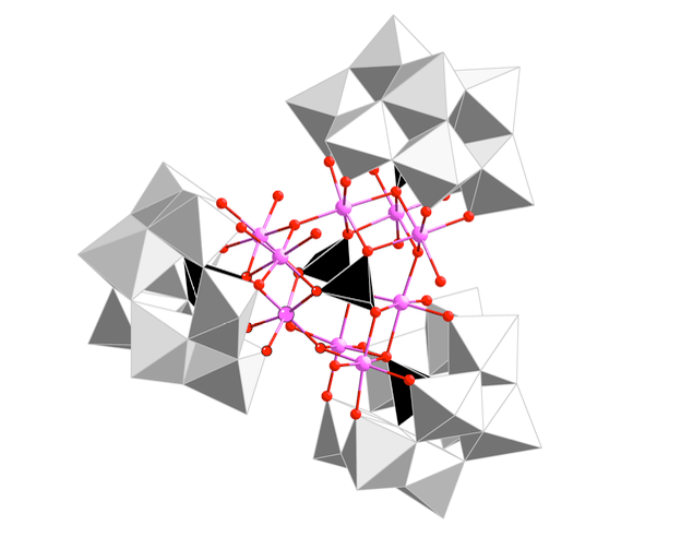 Chemists at ICIQ and URV found a cobalt–tungsten polyoxometalate that can catalyze splitting of water better than iridium oxide. ‘Polyoxometalates are nanometric molecular oxides that combine the best of two worlds, the great activity of oxides and the versatility of molecules,’ describes Marta Blasco-Ahicart, postdoctoral researcher at ICIQ. ‘Our polyoxometalates are way cheaper than iridium and allow us to work in acidic media, the optimal media to generate oxygen that is normally a drawback for catalysts, which are usually consumed by the acid,’ clarifies Blasco-Ahicart. Our catalysts work specially well when we work with low voltajes.’ ‘That may seem an issue but is rather an advantage, it saves electricity and will allow us, soon, to obtain the energy required for water splitting from renewable sources like solar panels. Furthermore, researchers present an additional discovery in their paper. Supporting the catalysts in a partly hydrophobic material improves the efficiency of the process. This produces a ‘waterproof’ reactor where electrolysis advances faster, and also improves the lifetime of catalysts. The new method not only enhances the performance of the new cobalt-tungsten polyoxometalates, but also with many different catalytic systems. Currently, researchers are exploring new ways of taking advantage of this new discovery, developing new hydrophobic scaffolds in order to increase the efficiency of water splitting, an important step towards the evolution of artificial photosynthesis.